Articular cartilage is the smooth gliding surface at the end of the bones that make the knee joint. The gliding mechanism provided by the articular cartilage reduces friction and allows the joint to function smoothly and painlessly. Damage to the articular cartilage can result through the natural wear and tear that occurs with time or can result through acute injury. When articular cartilage is lost the resulting defect can cause pain, swelling and occasionally mechanical instability. The diagnosis of articular cartilage damage can sometime prove difficult and it is only in the relatively later stages of the damage that x-rays and MRI scans can be useful. 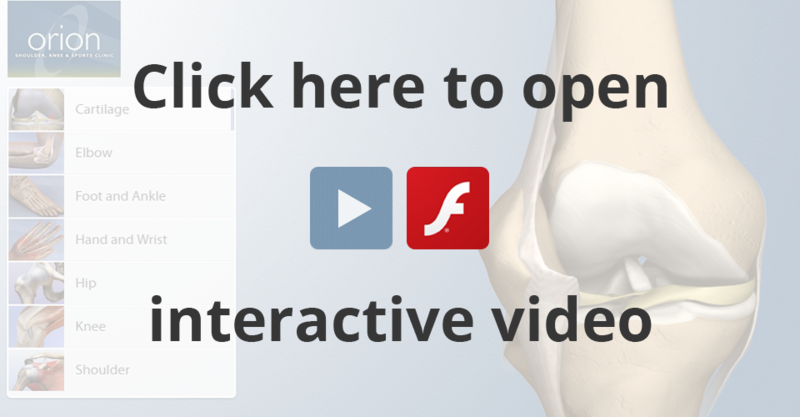 Most articular cartilage injuries and defects are diagnosed at the time of keyhole surgery. There are several techniques that can be useful in dealing with symptomatic defects of the articular cartilage, which include chondroplasty, micro fracture, chondrocyte implantation and osteochondral grafting. The micro fracture procedure involves creating tiny drill holes at the base of the crater, which induces bleeding which in turn stimulates scar tissue formation to fill in the defect. 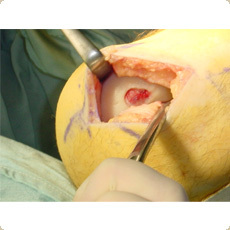 Other techniques including cartilage transplantation involve harvesting cartilage cells through keyhole surgery and culturing and multiplying them in the laboratory and re-injecting it into the defect at a later stage (autologous chondrocyte implantation). 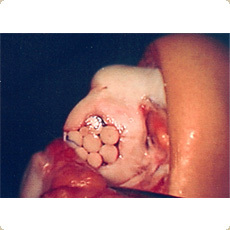 The osteochondral grafting technique (OATS) involves transferring cartilaginous dowels of tissue from relatively non weight bearing parts of the knee to the site of the defect. 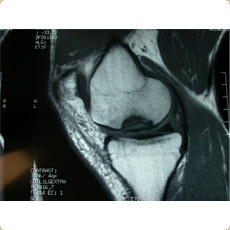 Articular cartilage degeneration occurs as a normal ageing process and if left alone results in established arthritis. 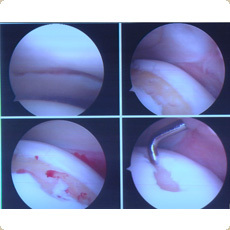 Cartilage grafting procedures are not indicated in gross arthritis. Treatment here generally requires a weight reduction programme, a regular strengthening protocol, activity modification in the form of non impact sport and occasionally the use of Glucosamine and Chondroitin. In end stage arthritis knee replacement surgery may be required.